Rocket ’til waterfalls… Rocket ’til waterfalllss…. If you don’t understand that reference, we can’t be friends until you go pick up the Beyonce album. I kid, kid. 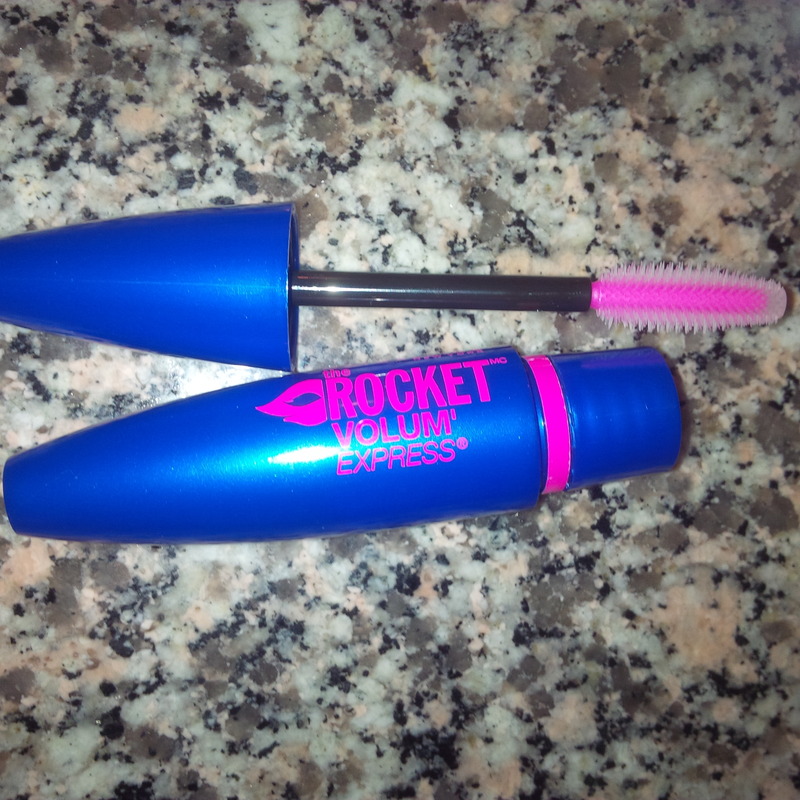 Anyhoo…The Rocket is one of the most recent mascaras to join the Maybelline lineup. In my opinion, Maybelline mascaras are usually pretty solid. Mascara is one of the few products that I feel high end and drug store can be on par with each other. Maybelline, Rimmel and CoverGirl are usually my standout faves. I am rediscovering mascara since laying off the Lash Lift’s, so we you’ll be seeing some more mascara reviews from me in the near future. The Rocket is one of Maybelline’s Volum’ Express mascaras. Explosive Volume in Rocket Time! 8X Bigger, Smoother. Now, the most explosive, beautiful lashes ever! Our patented supersonic brush with micro bristles loads on big, sleek volume instantly. Our fast-glide formula keeps lashes smooth. Zero clumps guaranteed! Sounds good, but don’t they all? Before we proceed, I would like to point out something I noticed on the Maybelline website. I have mixed feelings about this. At first I was angry. Why would Maybelline try to market a product to us by using an unrealistic representation of what the products can do? Then, I thought about it and at least Maybelline noted that the lashes in the picture had been altered. That is more than I can say for a lot of other companies. Personally, that is why I love to read blogs and watch YouTube reviews for products I am interested in. I want to see what the product looks like on real people WITHOUT that pesky post production enhancement. So, since I am a real person, with real eyeballs, that have real eyelids, with real eyelashes on them…on with the review! The packaging for The Rocket is pretty typical for Maybelline mascaras. It is a chubby purple tube with pink writing. The brush is an oversized plastic brush that reminds me of the CoverGirl Lash Blast brushes. The Rocket comes in 3 shades; Very Black, Blackest Black and Brownish Black. I always find this highly amusing. Is very black really very black. If it were, wouldn’t it be the blackest black? Avoiding the ridiculous names altogether, I chose the brownish black. Many people really enjoy the consistency of mascara after it has dried out a bit. I am the exact opposite. I prefer thinner mascara, which is usually right after you crack into a new tube. When I opened my new tube of The Rocket, I really liked the way that it applied. It was buildable, and had minimal clumpage. Yes, clumpage. The colour appeared to be…black. It does not look brown to me at all. This is actually fine with me as I just chose brownish black to avoid the super charcoal black colour that I feel looks too harsh on me. . Here is my eye with The Rocket applied just after opening a new tube. What I do not like about The Rocket is that it seemed to dry out quickly. Again, many may like this…but my lashes do not. 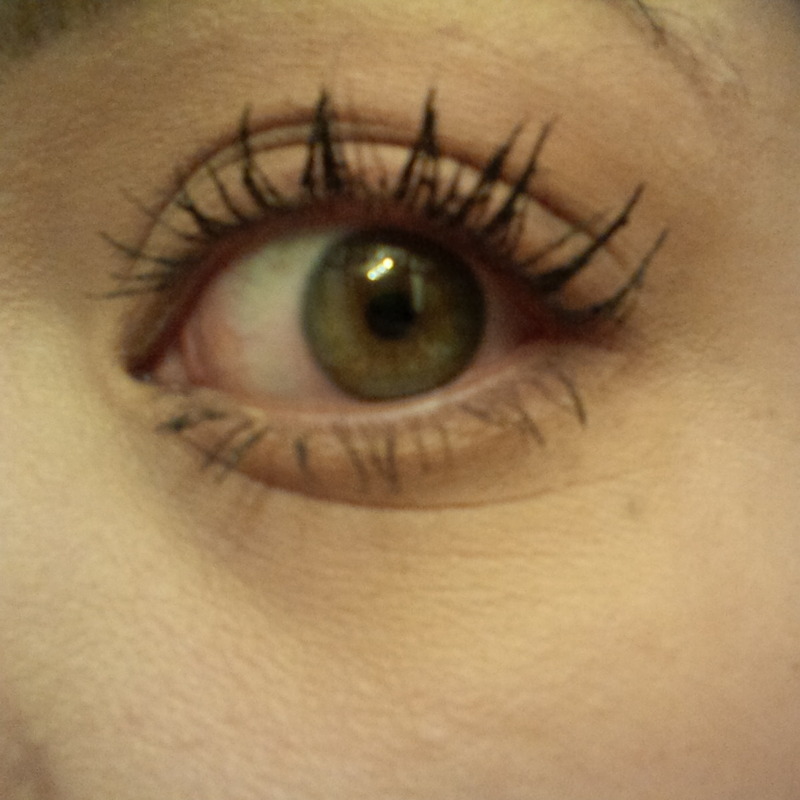 The mascara is now definitely less even and too clumpy for my liking. I also find that this mascara tends to crumble a bit and I end up with some mascara dust under my eye later in the day. While I initially loved Maybelline’s The Rocket, its performance was just not as great on my lashes over time. It was okay…but my finicky lashes are looking for more than okay. For this reason, I will not be repurchasing The Rocket. Have you tried Maybelline’s The Rocket mascara? This saved me a purchase thanks Ash! BTW new thin mascara ROCKS! Hi Soph and Erica! Thanks so much for reading and taking time to comment. I HATE crumbly mascaras too. Im intrigued by thin mascara but I caved and got a lash lift so that I don’t have to wear mascara for a while. They’re addictive I tell ya! Boo to crumbles! I love Maybelline mascara – and my fave so far has been their Turbo Boost (black and red container). I also buy their Colossal (yellow tube) washable mascara, but I find it tends to crumble and flake over the course of a long day. I love a big, fluffy brush and this one seems like it fits the bill, but I don’t like the sound of the quality…oh well! Thank you for the review. By the way, their waterproof formulas are good, but very drying for everyday use – not to mention hard to remove – I always have racoon-eyes after washing my face.